Pompeii is a big wild town: there, you can visit the ancient versions of grocieries, barber shops, bakeries, temples, squares and villas. Herculaneum is an elegant city inhabitated by very rich people. That’s why the houses that you can visit there are very opulent, with mosaics and frescoes well preserved. 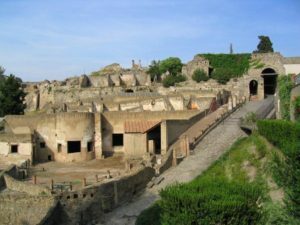 You can choose to visit Pompeii or Herculaneum but we can’t tell wich is the best!